Karma Lohrenz and Jessie Taylor fill the role of Peer Support Specialist at DCCCA and spend their days walking side by side with clients in recovery. No matter if individuals are taking their first step to social detox or working on a successful long term recovery in their community, these women, and the many other Peer Support Specialists at DCCCA, are there to support and encourage them. Peer Support Specialists are an integral part of behavioral health treatment. While especially important and effective in the early stages of recovery, peer support is available to help clients at all stages maintain a healthy life in recovery. Peer Support Specialists have lived experience in long term recovery which makes it possible to engage clients in building long term recovery by offering a level of credibility that can only come from that lived experience. But what is a Peer Support Specialist? They aren’t a therapist or a case manager so what role do they fill? 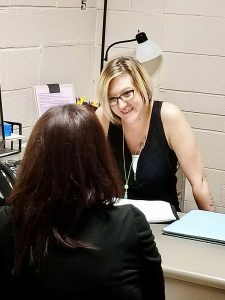 At DCCCA, we employ Peer Support Specialists in our Lawrence Outpatient, First Step at Lake View, and DCCCA Pratt locations, but they are utilized in different ways. In Lawrence, individuals that arrive in the Emergency Room at LMH Health in need of treatment can access Peer Support Services from DCCCA 24 hours a day Monday through Saturday. 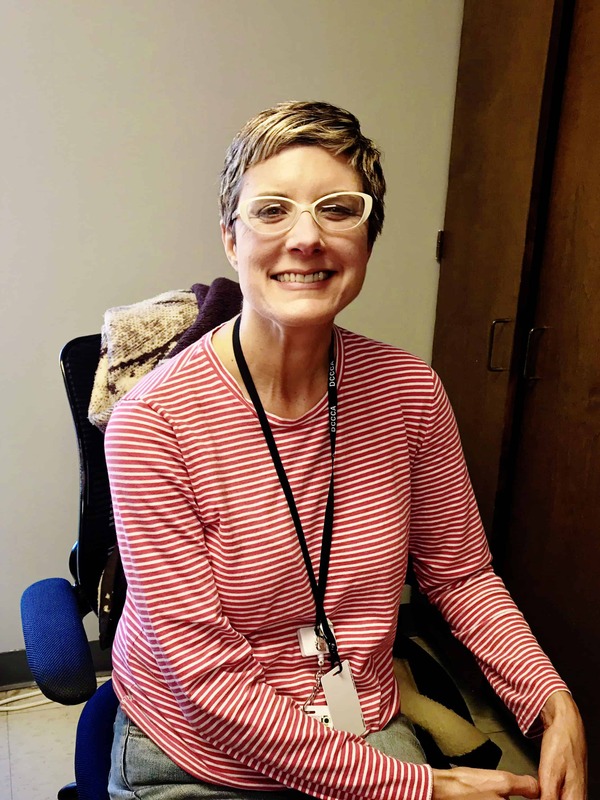 Karma Lohrenz, who offices at First Step at Lake View, is one of our Peer Support Specialists available 8-5 Monday through Friday to assist those individuals who arrive at the ER and need social detox or treatment. Karma meets them at the hospital and once an appropriate plan has been decided, helps them to locate an available bed in Social Detox and drives them to their destination. “I can offer them my experience, I can show them that life can turn around, and maybe that helps them take that first step.” Karma states she is also available to pick individuals up at the end of their initial treatment and help them transition to the next stage of their recovery process, “It helps to bridge the gap; I’m someone that is constant throughout their transition and my experience makes me a comfortable option”. DCCCA is proud to offer Peer Support Services to our clients as part of a treatment philosophy that addresses the needs of the whole person, not just their substance use. To read more about our Behavioral Health Services we invite you to visit their pages on this website.